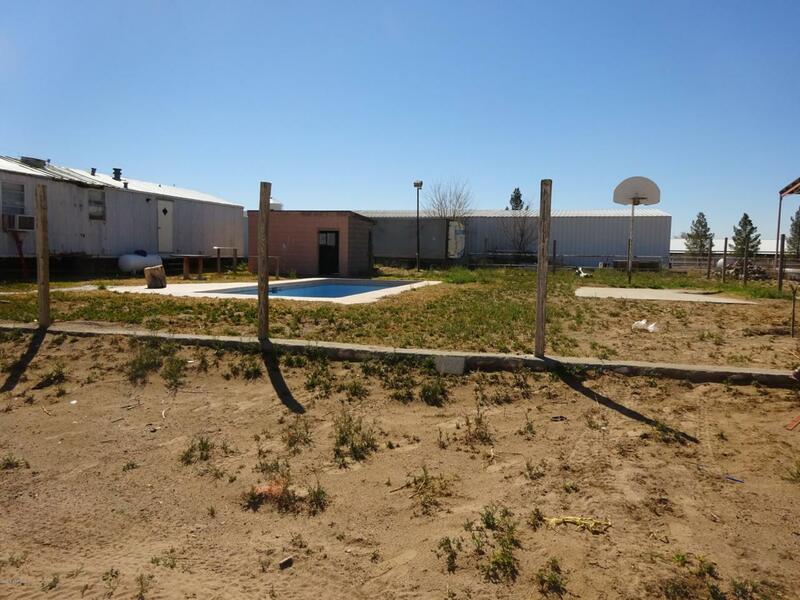 2.13 acres with 1977 manufactured home, 2 bd, 2 ba approx. 17x76 in ground pool, 2 septic tanks, 2 wells, horse facilities. Blue manufactured home is privately owned and does not convey. Kitchen and bathrooms have granite.